Micromax Canvas Selfie Specifications:Â Micromax Canvas Selfie is yet another phone launched by the company just after launching Micromax Nitro A311 which is upgraded version of Nitro A310 and Micromax Canvas Xpress A399. The Canvas Selfie would be available in online and offline stores from the second week of January. Looking atÂ Micromax Canvas Selfie Specifications, the company has only focused on the camera for the selfie conscious people. Te most important highlight or feature of theÂ Micromax Canvas Selfie is its 13 MP rear as well as front camera equipped with LED flash and Sony sensors. To have a more closer insight in the phone, let us jump toÂ Micromax Canvas Selfie Specifications. The Micromax Selfie has a 4.7-inch HD IPS display with a resolution of 720 x 1280 pixels with a Corning Gorilla Glass 3 protection. The Micromax Canvas is powered by octa-core processor clocked at a speed of 1.7 GHz coupled with 2 GB of RAM.Â Micromax Canvas Selfie has the advantage or merit of its 13-megapixel front and rear camera with LED flash and Sony sensors. The camera has various inbuilt tools like eye enhancement, face slim, teeth whitening, skin smoothing, oil removal and remove dark circles. The phone is packed with 2300 mAh battery with no information about talk time and standby time.Â Micromax Canvas Selfie has the only disadvantage or drawback of its outdated Android 4.4 KitKat operating system. This demerit ofÂ Micromax Canvas Selfie could rule out of the competition after arrival of Android 5.0 Lollipop. On the connectivity front, the phone includesÂ 3G, GPS, Micro-USB, Wi-Fi 802.11, GPRS/EDGE and Bluetooth 4.0 options. The Micromax Selfie Canvas supports the latest updates and fastest processor, 1.7 GHz Octa-core processor with Quad core ARM mali 450 MP GPU. It comes with a 2GB RAM which gives you a amazing speed while switching between different applications. This smartphone supports the dual sim connectivity and talking about its internal memory then it includesÂ 16 GB storage, 12 GB for applications installation and 32GB external micro SD card support. Micromax Canvas Selfie supports a 11.8cm (4.7 inch) HD IPS screen display with 1280 x 720 pixels resolution and 294 pixels per inch color depth. The screen of the phone is also protected by Corning Gorilla Glass 3. Micromax Canvas has a Sony based Â 13 MP Auto focus rear camera which comes with the Largan 5P Lens and rear wide angle of 28mm, with Schott Blue Glass filter. The rear camera is made of Â F2.2 aperture and a 5MP Â front snapper, with OV5648 Senso with aÂ 22m wide-angle lens with 75-degree viewing scope. the company has increased the camera quality with which you cantake front and back shots at the same instant. The gestures installed in this phone such as Pinch In, Pinch Out and Double finger swipes makes this user friendly device and all the alerts on the screen whenever we power on the phone. Canvas Selfie Â has the only disadvantage or drawback that it operates on Android v 4.4 Kitkat. Its operating system is well outdated Micromax should have launched it with Android v5.0 (Lollipop). Micromax has provided a massive battery of 2300 mAh averageÂ in the industry, with a 10 hours of talk time, 320 hours of standby time, 5 hours of 3G internet usage time, and upto 10 hours of 2G internet usage time. Now don’t think twice to buy one. Micromax Canvas Selfie is expected to be at a price of Rs. 18000 in India.The company has recently unveiled Micromax Nitro A311 which is expected to be at a price tag of Rs. 15,000 in India from December. Micromax Nitro A310 was launched back in the month of September at a price of Rs. 12,900. On comparison between Micromax Canvas Selfie with Micromax Nitro A311 andÂ Micromax Nitro A310 and, the former has the bigger camera of 13 MPÂ as compared to 5 MP in Micromax Nitro A31o, A311 and seems to be superior in overall specs and features. The phone is the latest edition in its CanvasÂ smartphone series and is clearly anÂ excellentÂ smartphone. 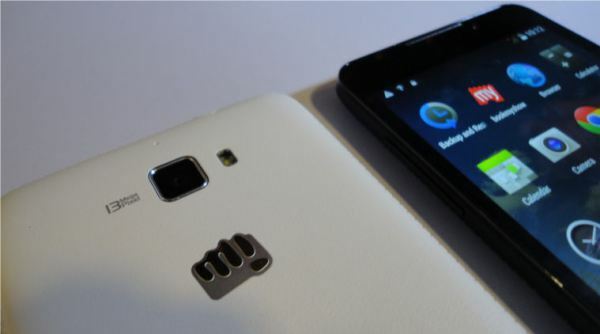 Micromax has recently launched the Canvas Xpress A99 at a price of Rs. 6,999 which will be exclusively available from Monday on Flipkart. TheMicromax Canvas Selfie is a dual-SIM phone which is featured with the latest market trend and has got the octa-core processor coupled with 2GB of RAM for smooth functioning and to give the user what is needed to have in for great speed. The phone also has a giant screen will help you to watch your movies and play games on gigantic HD screen. And if we look into the interface and other features which one use daily, then it is the recommended phone by the techiepocket as now a days the features are almost in every phone but what matters is the speed,agility and the working of the phone which is the major advantage of this phone and it resembles too big screen which is another meritÂ of Micromax Selfie to look into, else this phone features the latest trend what one needs today to show off and to work with. Like other smartphone Micromax Canvas Selfie too has many pros and cons which are:Â Pros: 13Â mp rear as well as front camera, octa core processor, 16 GB or external storage, 2300 mAh battery, FullÂ HDdisplay.Â Cons:Â interface,Â quality of the product, operating system. The canvas selfie comes in two variant colours that is Mystic Blue and Angelic white.